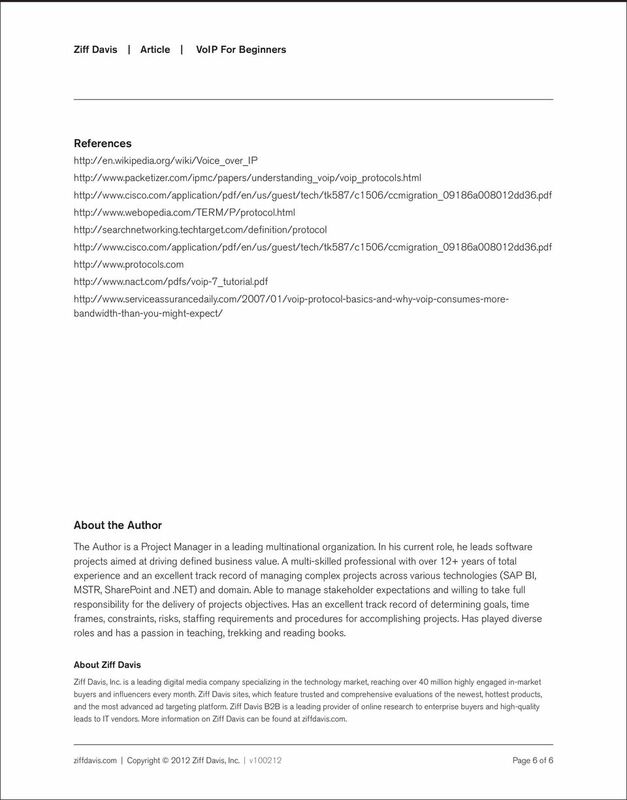 Download "Receiving the IP packets Decoding of the packets Digital-to-analog conversion which reproduces the original voice stream"
A Comparative Study of Signalling Protocols Used In VoIP Suman Lasrado *1, Noel Gonsalves *2 Asst. Prof, Dept. of MCA, AIMIT, St. Aloysius College (Autonomous), Mangalore, Karnataka, India Student, Dept. 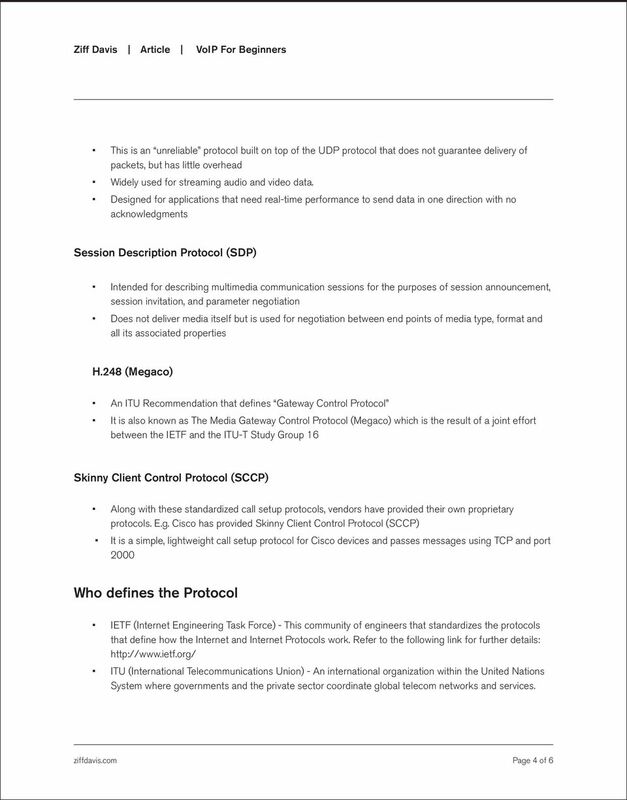 By Paolo Galtieri This article provides an overview of Voice over Internet Protocol (VoIP), one of the many applications taking advantage of the enormous growth of the Internet over the last several years. 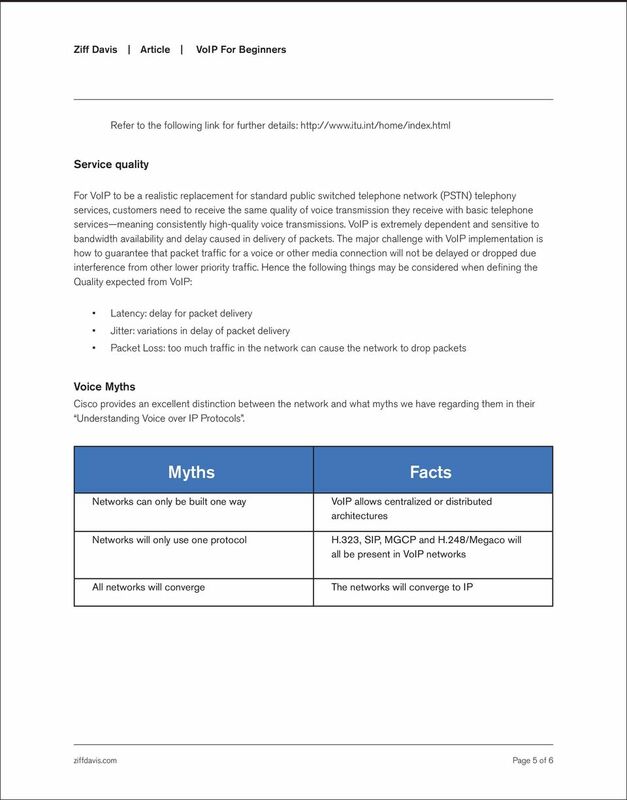 Voice Over IP - Is your Network Ready? 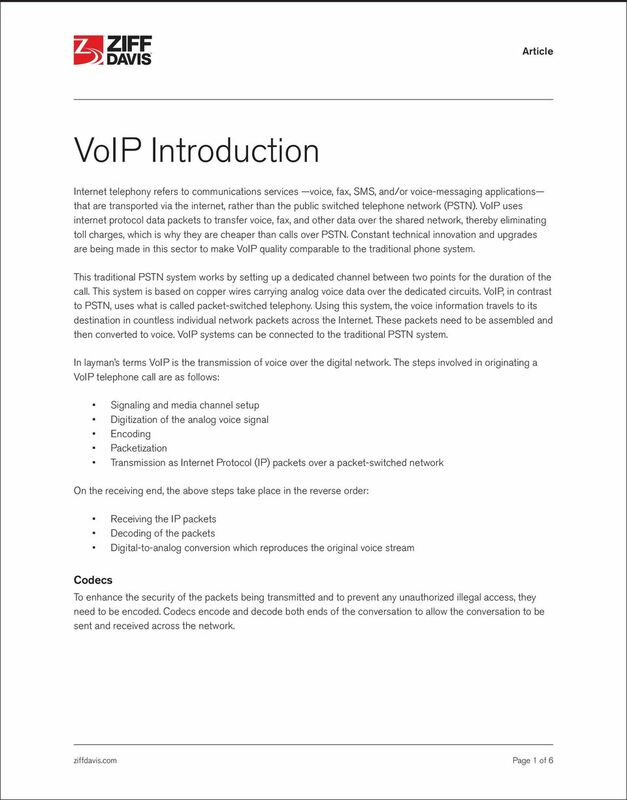 Voice Over IP - Is your Network Ready? Carrier Grade Service When was the last time you called the phone company just to say, I am just calling to say thank you for my phone service being so reliable? Which VoIP Architecture Makes Sense For Your Contact Center? 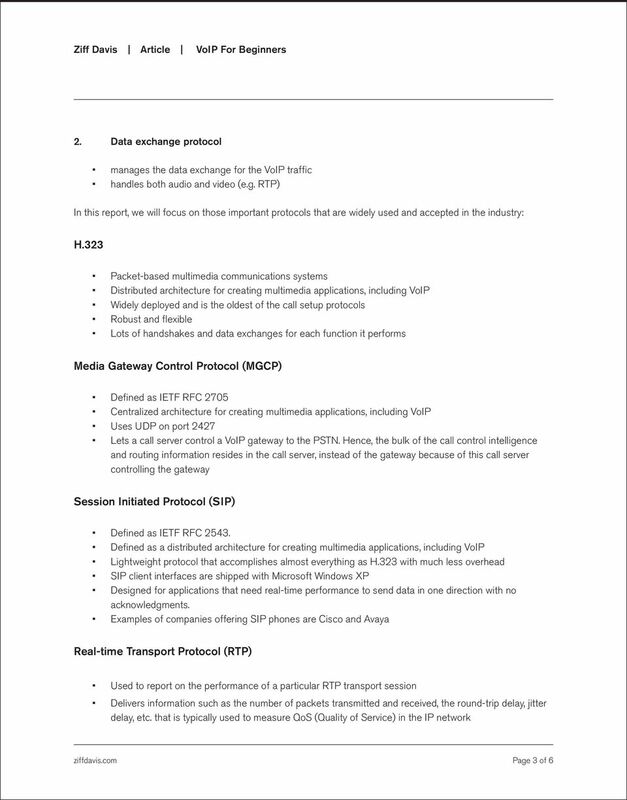 Introduction Understanding Voice over IP For years, many different data networking protocols have existed, but now, data communications has firmly found its home in the form of IP, the Internet Protocol. PacketizerTM. 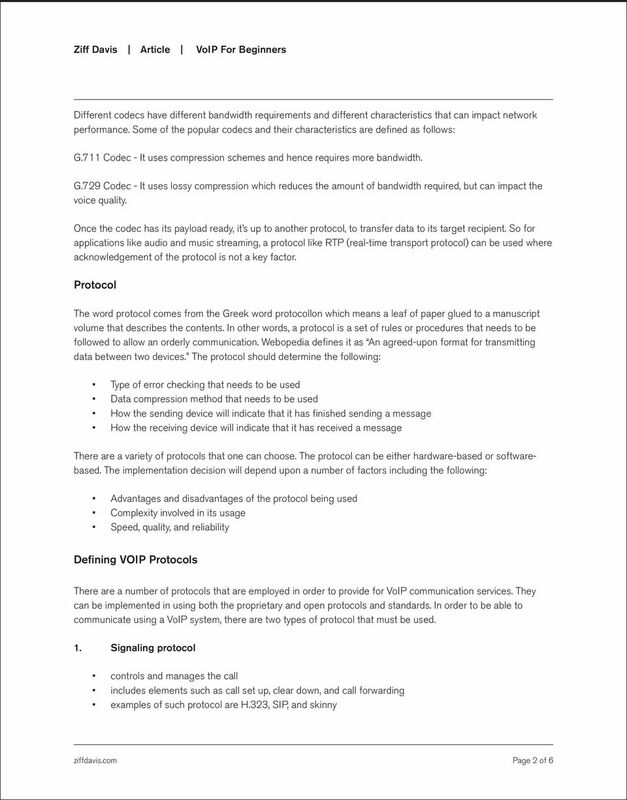 Overview of H.323 http://www.packetizer.com/voip/h323/papers/ Paul E. Jones. Rapporteur, ITU-T Q2/SG16 paulej@packetizer.